You must be a member of the Stockholm Racket Sports Group to attend this activity. Would you like to join this group? If you are a more fresh player or an intermediate badminton player, you are most welcomed to register for the badminton event on Saturday, 2 February Protected content the usual time. The registration includes a waiting list. Those in the waiting list, will be automatically upgraded in case registered ones would cancel their participation. Therefore, any cancellation needs to be done at least until Friday 12:30 before the event starts. If you are in the waiting list please check at least Friday evening actively your status in the waiting list. Looking forward seeing you on Saturday! For the first hour of the game we will play all together: advanced and intermediate mixed, for the second hour - we stay separate within our groups. This way we make sure that everyone can learn from others, yet also have fun playing a game on a suitable level. Guideline: How can you know if you are Advanced or Intermediate? Well, we don't have any professionals present (though they are very welcome), so if you feel that it is no problem for you to send a high shuttle from back line of your side of the court to the very back of the other side of the court and you can smash a high shuttle from the back of the court once in a while - you count as Advanced. Almost everyone else is counted as intermediate. 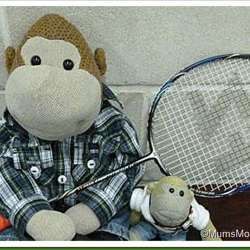 If you played some badminton games during last years, or maybe you played a lot long time ago; or maybe you never even played badminton, but you play well other racket sports like tennis or squash, or you just consider yourself an athletic person with fast reaction - you are very welcome to join the Intermediate group. If you never played badminton over a net and other conditions also don't apply to you, then maybe it is better if you practice at least some 5 games privately before joining our group.